#VAratifyERA will launch “10 Days of ERA” with a statewide bus tour helmed by Del. Jennifer Carroll Foy (D) and State Sen. Glen Sturtevant (R) beginning Nov. 9. The tour kicks-off with an Equal Rights Amendment law symposium at William & Mary’s Marshall Wythe Law School and concludes with workshops in Richmond. The bus will travel over 1,500 miles with events in Ashland, Blacksburg, Charlottesville, Fairfax, Fredericksburg, Hampton, Harrisonburg, Lexington, Norfolk, Petersburg, Radford, Richmond, Roanoke, Staunton, Virginia Beach, and Woodstock. Two states ratified recently, Nevada in 2017 and Illinois on May 30th, 2018 leaving just one state left in the 38 required. All eyes are on Virginia to be the last, historic state during our next General Assembly session. 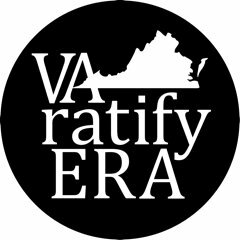 Since launching the VAratifyERA campaign on August 26th 2018 (Women’s Equality Day), communities across the state have voted to support resolutions advocating for ratification. They include: Shenandoah County Board of Supervisors, Fairfax County Board of Supervisors, Albemarle County Board of Supervisors, and the City of Charlottesville. They join citizen groups such as the Arlington Civic Association, League of Women Voters, American Association of University Women, and the American Bar Association (ABA) which passed resolutions reaffirming support for the ERA. The ABA resolution also called on all state bar associations to actively engage in the pursuit of ratification. In addition to lawmakers and community leaders, VIP’s will join along the route for programs both scheduled and spontaneous. The ERA Bus is funded by individual donors and groups, with supporters encouraged to “sponsor a mile.” To follow the action, visit VAratifyERA and Delegate Jennifer Carroll Foy on Facebook, Twitter and Instagram. For more information on the Equal Rights Amendment and Virginia’s campaign, visit www.VAratifyERA.org.